A colorful panoply of steamed dumplings. 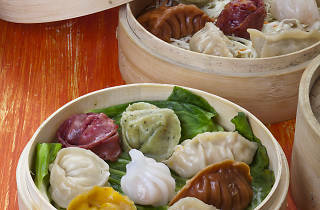 The simplicity of dim sum has made it a very popular easy lunchtime choice. 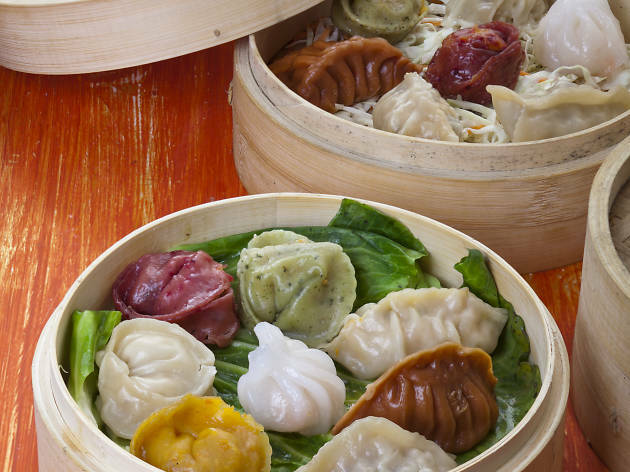 The steam baskets here are filled with colorful dumplings from different hues of white and opaque, all stuffed with mouthwatering meat and seafood goodness.